After retiring from the U.S. Army as a captain, Ronald McNair faced a challenge familiar to many veterans: transitioning from the military to the civilian workforce. "Once I retired, I began searching for a job with a structure similar to the military," said McNair, who served in the Army for 20 years. "I decided on a career at CoreCivic because I knew corrections would offer a rank-like professional structure and opportunities for promotion." Now McNair protects and serves in a different way: as assistant chief of security at Otay Mesa Detention Center, a CoreCivic Safety facility in San Diego, California. "I've been with the company since 2009," he said. "I'm thankful to continue using the leadership and management skills I obtained in the military." McNair is one of many military veterans at CoreCivic. In fact, since 2016, CoreCivic has hired over 600 veterans. While this number reflects CoreCivic's commitment to employing veterans, there is still room to grow. That's why CoreCivic launched its Veterans Task Force (VTF) in October 2017. The VTF is the company's first employee-driven diversity initiative, and its mission is helping CoreCivic attract and retain veterans. McNair is one of the VTF's charter members. "Veterans have already been trained to keep people safe, work in teams, partner with government, and support the community, which is why they're well-suited to work at CoreCivic," said CoreCivic Recruiter Steven Scott, who served in the Air Force for 25 years. "And because of their talent, we often see veterans' military success followed by successful careers here at CoreCivic." Today, there are more than 120 VTF members across 50 CoreCivic Community and Safety facilities. VTF members, who are both veterans and non-veterans, join bimonthly meetings facilitated by Facility Support Center staff. The VTF's officer sponsor is CoreCivic Vice President of Technology John Pfeiffer, who served four years in the U.S. Navy. Other VTF leaders include CoreCivic Senior Director of HR Compliance Andrea Cooper, CoreCivic Managing Director of Talent Acquisition and Management Nick Tompkins, and Scott. Since the VTF launched over a year ago, the number of CoreCivic employees who voluntarily self-identify as veterans or active duty military members, has risen to 10 percent. In order to extend its reach, the VTF is introducing employee-led chapters across the company. These groups will provide outreach and support to veterans within their respective facilities. Although the VTF is a recent initiative, CoreCivic has long been committed to supporting our military. In fact, the company participates in various efforts year-round to engage with veterans. Because of these efforts, G.I. Jobs Magazine recently named the company a Military Friendly® employer for the eleventh time since 2007. And in 2017, CoreCivic earned a place among RecruitMilitary's Most Valuable Employer for Military® Winners, for the third time. "Part of the VTF's responsibility is to increase companywide recognition of veterans, which we do by hosting Veterans Day ceremonies, and giving commemorative coins to those veterans who choose to self-identify on a confidential, voluntary form," said Scott. In his role as recruiter, Scott continuously reaches out to veterans through a recruiting initiative known as "Next Mission." He educates veterans about how they can contribute to CoreCivic's mission of helping government better the public good, following their military careers. 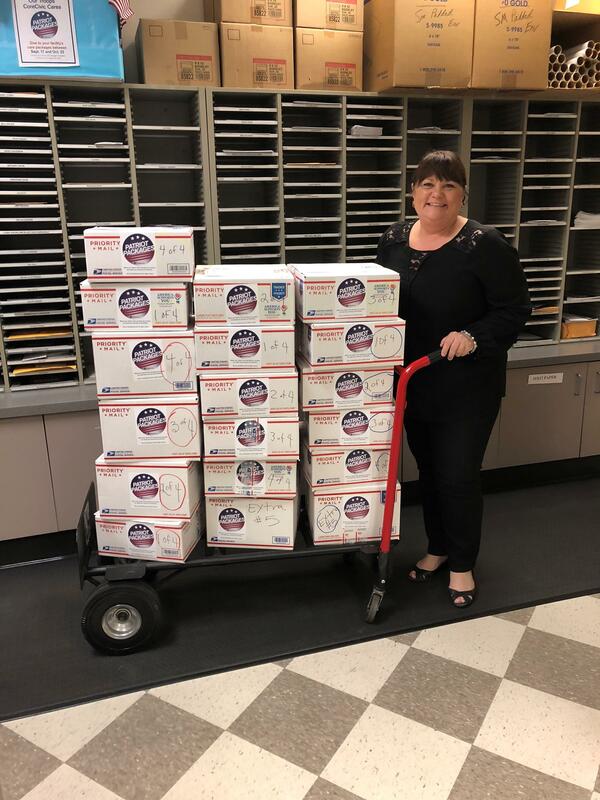 Additionally, through CoreCivic's Patriot Packages program, employees send care packages containing nonperishable food, toiletries and more, to active duty troops each year. Since 2011, CoreCivic has shipped 653 Patriot Packages filled with more than 12,000 pounds of donated goods. 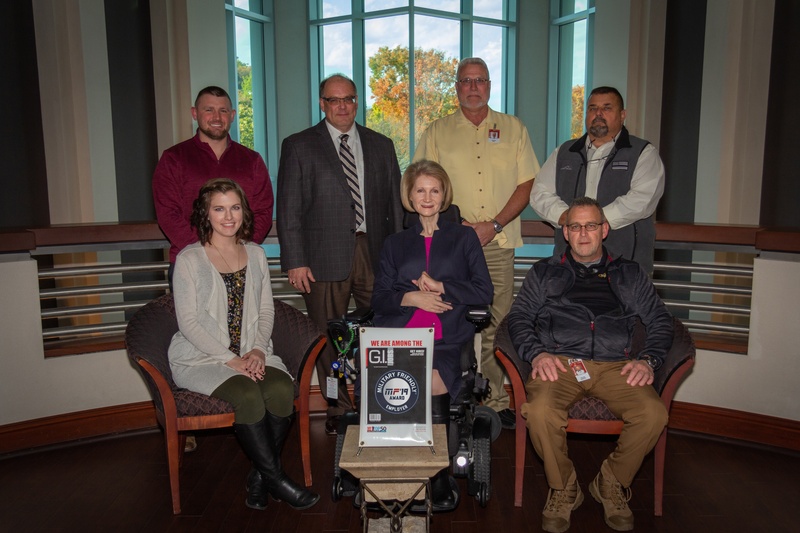 "It's important that companies like CoreCivic do their part to support veterans," said McNair. "And thanks to the VTF, I can help others through the employment process following their military retirement." CoreCivic employees who are interested in joining the VTF may contact Pam Gray, CoreCivic Employee Relations administrative assistant. Veterans interested in joining CoreCivic may email MilitaryRecruiting@CoreCivic.com to learn more.